The Tata Motors-owned Jaguar Land Rover (JLR) today launched an updated version of its luxury saloon ‘Jaguar XJ’ in India, with prices starting from Rs 98.03 lakh (ex-showroom, pre-octroi in Mumbai). With a combination of technology, craftsmanship and sporting vehicle dynamics, the new Jaguar XJ is “a blend of power and beauty”, available with a range of distinctive new features, JLR said in a statement. 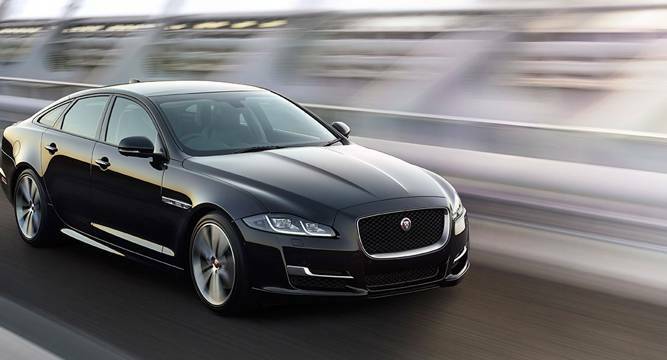 “The new Jaguar XJ is designed to deliver greater levels of luxury and performance. With its even more assertive and bolder look, the new XJ has a commanding presence on the road, making it a definitive headturner,” JLR India President Rohit Suri said. The saloon’s interiors, powerful engine and latest technology will enhance the in-car experience of discerning customers by making it even more productive, entertaining and relaxing, he added. The petrol-powered variant of the Jaguar XJ is priced at Rs 99.23 lakh while the diesel trims are priced at Rs 98.03 lakh and Rs 1.05 crore, respectively (all prices ex-showroom, pre-octroi in Mumbai). The new Jaguar XJ is locally manufactured in Pune. The vehicle comes with various features, including adaptive dynamics that work in conjunction with air suspension and constantly changes damping to suit conditions. The updated XJ also comes with all surface progress control (ASPC) technology that allows low-speed cruise control, which helps the car cope with low traction situations. The Jaguar range in India includes F-TYPE sports car, with prices starting at Rs 1.26 crore and locally manufactured XF sedan starting at Rs 47.7 lakh. Jaguar vehicles are sold from 23 dealerships across the country.